Oia is a traditional settlement in the north of Santorini. It is also known as ‘Apano Meria’ or ‘Anomeria’ and the inhabitants are called ‘Apanomerites’. The village is approximately 150 meters above sea level. At the edge of the Caldera cliffs, Oia has a panoramic view across the caldera towards the volcano, Thirassia, and almost the entire island. 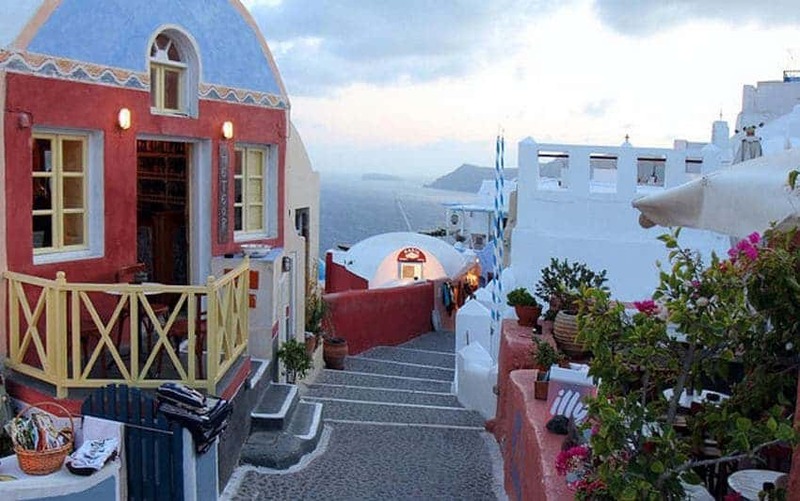 In Oia there are two types of dwellings, the cave houses dug into the volcanic rock on the Caldera cliffs, and the Captains houses. The cave houses used to be the homes of ship crews, whereas the Captains houses belonged to the affluent class of ship owners. Many of the churches in Oia were dedicated to sailors. Description: Oia is one of the most photographed places in Greece, if not the world. 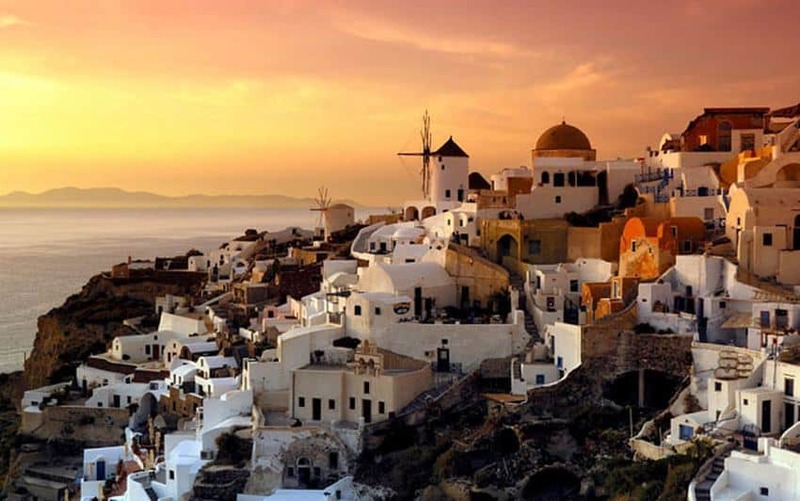 It has inspired artists, poets and every visitor who visits Santorini. 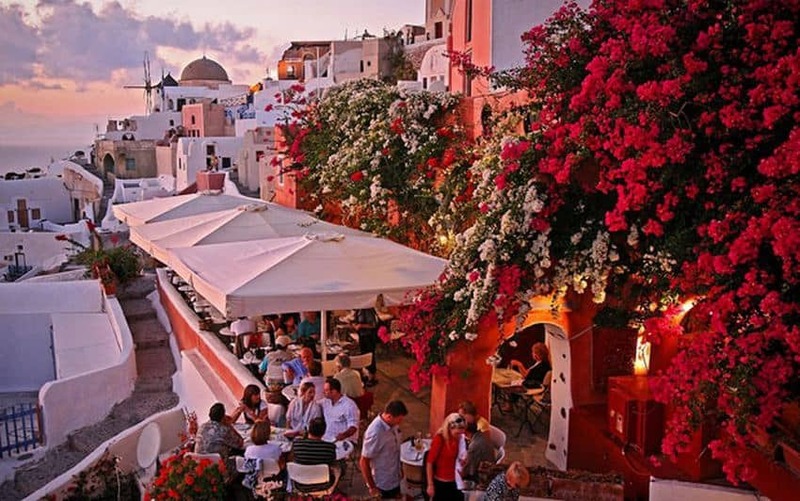 Oia is best known for breathtaking sunsets; if truth be told, sunrise in Oia is also magical. Drink a cocktail, while enjoying the breathtaking view.